If you’re looking to buy PenDelfin rabbits then we have a wide selection of retired and collectable PenDelfin rabbits for sale. 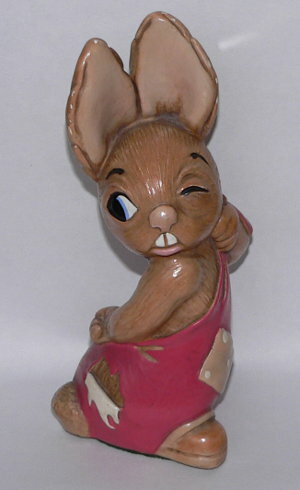 Our latest addition is a PenDelfin Drifter rabbit designed by PenDelfin founder Jean Walmsley Heap. This is a very cute PenDelfin rabbit drifting in his life ring! He was introduced into the PenDelfin family in 1998 and retired from production by the PenDelfin Studios in 2004. 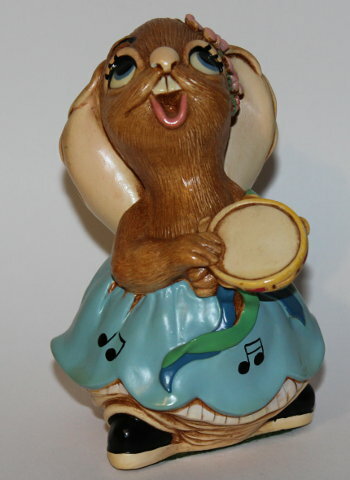 Click here to view more information and photographs of this PenDelfin rabbit. We have a wide range of PenDelfin rabbits for sale including many PenDelfin Family Circle rabbits and lots of interesting old and rare leaflets and booklets. Click here to view our full range of PenDelfin for sale. This entry was posted in New Stock and tagged Buy PenDelfin rabbits, Jean Walmsley Heap, PenDelfin Drifter on June 3, 2014 by Perfect Pieces. 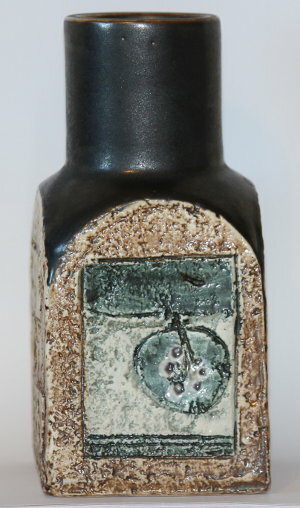 The PenDelfin wedge was designed by Jean Walmsley Heap as part of the PenDelfin Gallery Series and was used to stand the PenDelfin Gallery Series plaques on. It’s a super piece, and looks good even without a gallery plaque, thanks to the the PenDelfin logo and broomstick design on the front. Click here – to see more details and photographs of this PenDelfin stand. 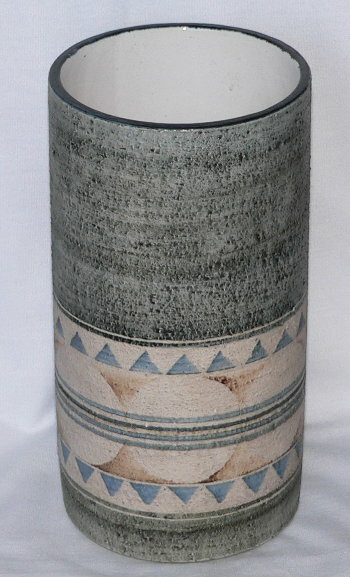 This is a super early piece of PenDelfin pottery made c1968-1971, rarely seen especially in such nice condition. This entry was posted in New Stock on March 17, 2014 by Perfect Pieces. This is a fantastic PenDelfin Studios set still all in its original box and packaging along with the certificate of authenticity. It features the PenDelfin queen travelling in her decorated car which is being driven by a PenDelfin driver rabbit whilst her assistant Flunky ambles alongside her! 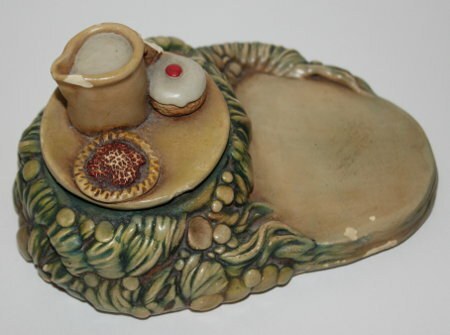 Each piece is beautifully designed by Doreen Noel Roberts and has really lovely detailing and decoration – the car registration plate is DNR 2000! 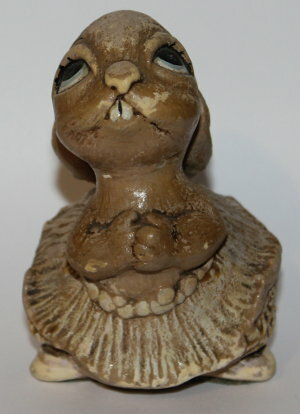 We stock a wide rage of PenDelfin rabbits for sale including many early and rare pieces designed by Jean Walmsley Heap and Doreen Noel Roberts. If you’re looking to expand your collection away from just rabbits then we have PenDelfin brochures, PenDelfin stands and PenDelfin plates too! This entry was posted in New Stock on February 26, 2014 by Perfect Pieces. The latest addition to our PenDelfin Rabbit section is this superb PenDelfin Picnic Basket rabbit in its original PenDelfin Studios box. I’ve always loved the PenDelfin Picnic Basket, I know you can’t see the rabbit’s head but you can just imagine what he’s doing inside the picnic basket! This PenDelfin model was designed by Jean Walmsley Heap and only produced by PenDelfin from c1966-1968, so he is not often seen, especially with his original box. We have a wide range of retired PenDelfin rabbits for sale including some lovely old PenDelfin rabbits still in their original boxes, a really nice touch for any collector. We also have some slightly newer special edition rabbits such as the PenDelfin Millennium Queen and the PenDelfin The Anniversary model which was produced by PenDelfin to celebrate the 10th anniversary of the PenDelfin Family Circle club. This entry was posted in New Stock on February 25, 2014 by Perfect Pieces.